Agility is the art of reactivity, of empathy with customer needs, of transparency, and mainly a way to swim and thrive in a world that keeps changing, where yesterday’s requirements do not match today’s needs. In other words, the art of delivering a project in the now, of being constantly aware and reactive to the current needs of the customer and the current state of the project and team. An agile product lives in the present. The “agile way of working” prizes reacting to reality over sticking to a plan. It profits greatly from short feedback loops that sample reality and then adjust plans. One of the most visible by-products of working in such a way is happiness — happiness of employees, customers, and a happier organisation. Another by-product is alignment — once everyone is connected to reality, there is less friction and misunderstanding. Ancient Taoism, Buddhism, and — in recent years — Mindfulness are similar in both purpose and by-products. Meditating is part of 12 Steps to Happiness. They are all different ways of existing in the present and responding to it, of appreciating the richness of the now and diminish the value of living the memories of the past or worrying about the imagined future. And their by-products are astonishingly similar: personal happiness and a sense of harmony, a common universal goal. When asked who are the agile figures that inspire me, although many names come to mind, the one on top and the most influential agile coach I know is Lao-Tzu, the author of the book of Tao, most often called Tao Te Ching. 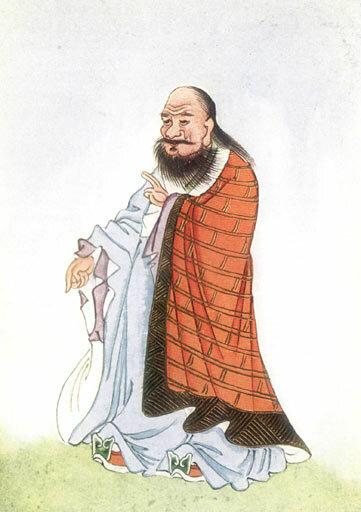 The way I read the story of Lao-Tzu (6th–5th century BCE), it is the story of someone who lived by agile principles while trying to help an organization far more complex than any modern-day mega enterprises: the Chinese Empire. Just like a modern-day agile coach, he understood that to change things fast, you have to move slowly. Just like a modern-day agile coach, his words were not always comforting. Just like a modern-day agile coach, he dealt with artificial structures and rigid belief-systems. And just like a modern-day agile coach, his guidance and advice was not always well-accepted. Hope you join me and enjoy the journey. As for the challenges I propose, you will find below the introducing verse to Taoism and four other verses. I invite you to take a day for each to see how they resonate with your daily routine, and whether these meditations allow you to view your work day (or non-work day) in a different light. The theme of this day is Unity. For Day One, look at your teams, the people you work with, the work-space. And see them as one. Is the mood of one team member, her tone of voice, her energy all really totally hers? Or are they part of the team’s changing state? Are all your meetings — be they formal or coffee talks — separate? Or are they interconnected? Are all your projects really separate? Or are they fragments of a bigger mission? Today I invite you to broaden your vision, to see the bigger entity that is your day, the even bigger entity which is your workplace, and the bigger entity that consists of you, your day, your workplace, and all that surrounds you. At the end of the day, when all the pieces of the day’s puzzle are put together, erase the seams that connect the pieces, and look at the single big picture that surfaces. Is what I am about to say necessary? Allow yourself not to say it, strive to say less. Use a notebook, write down what you wanted to say. You can also note down if not saying what you intended had an important negative impact on the conversation. Would the conversation have been improved had you intervened? Keep it personal, it is your exercise: you may notice whether the intervention of others was meaningful or not, but do not carry the intention of criticizing them. For just one day, I want you to turn on your humbleness dial, to contribute without anyone knowing — how about putting a surprise box of cookies in the kitchen while no one is looking? How much pride do you feel? Can you let it go? Do you see yourself or your contribution as more important than the people around you? Do you really know better than them? Your challenge of today is to challenge meaning. Do they believe they know what they talk about? do you think they do? When you talk with confidence, how sure are you that what you talk about is true? Where is the truth? does it exist? is it constant? Just like before, the intention is not to judge others, but to search for insights. Does the Taoist view resonate with your daily observations? Read back the past challenges, review your notes (if you made some). Think back of the week and appreciate what you’ve learnt. I am grateful you walked this path with me. You may now call yourself an SCT — a Self-Certified Taoist. In case you want to discuss this post, write a the comments below. 2 thoughts on "Tao-inspired agility and meditation"
A question on Unity (day 1) and the sentence “Are all your meetings — be they formal or coffee talks — separate? Or are they interconnected?”: I don’t get it. — Could you explain me the sentence with other words? — Or could you explain what is the desired state? Is it interconnected? To which extend? The team’s day can be viewed as a series of events: a meeting here, an incident there, a coffee break, a talk with someone. They can also be viewed as a whole, imagine your team’s day as a big dance of people, the morning standup (for example) ripples to the next event, chained to the next, etc. Just like you can artificially separate a meeting in your mind to a few mini meetings. Since we are used to separate, today I invite you to see the whole, to visualise the whole day as one team meeting where you went from room to room, sat at your desks, interacted on different level. Try to see the one big picture. The ‘desired’ state is a state of mind. the desired state is your *ability* to switch viewpoints. to observe your team, your day and your world as a whole. I invite you to practice that since we seldom have the practice of seeing the unity, we have the habit to separate. The *desired* result is your ability to switch viewpoints so you perceive reality better. From experience, once you see several levels at the same time, your insights are much richer and insightful.